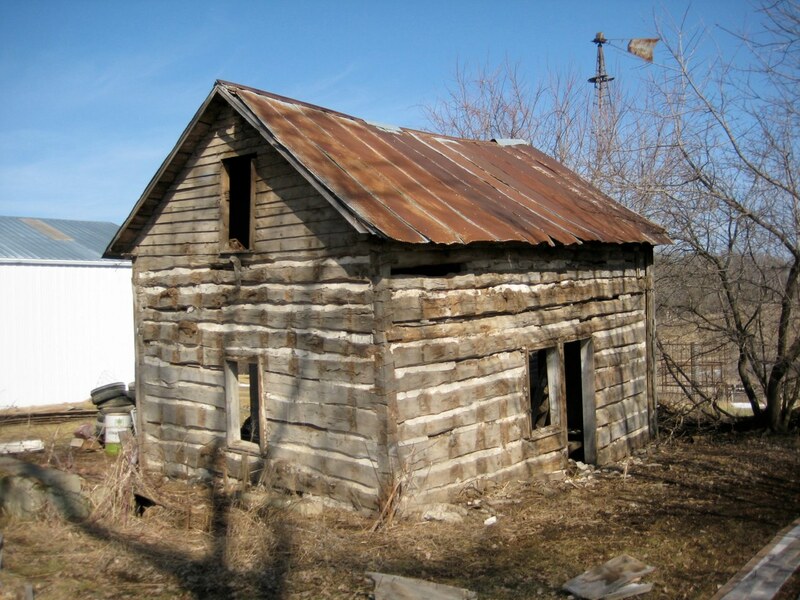 Built in 1851 by Norwegian immigrant Thorgrim Busness, this was the third house I reconstructed. 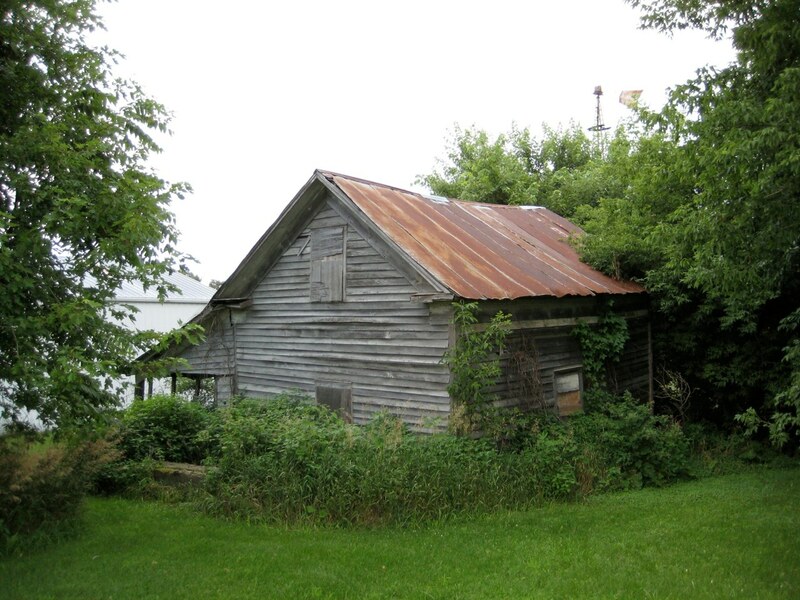 Beginning December 24, 1853, the house was used as a place of worship by Vilhelm Koren, the first Norwegian Lutheran minister to settle west of the Mississippi River. Local Norwegian immigrants met for religious services in the house in the years following, and it is regarded as the founding place of Washington Prairie Lutheran Church, Decorah, Iowa. 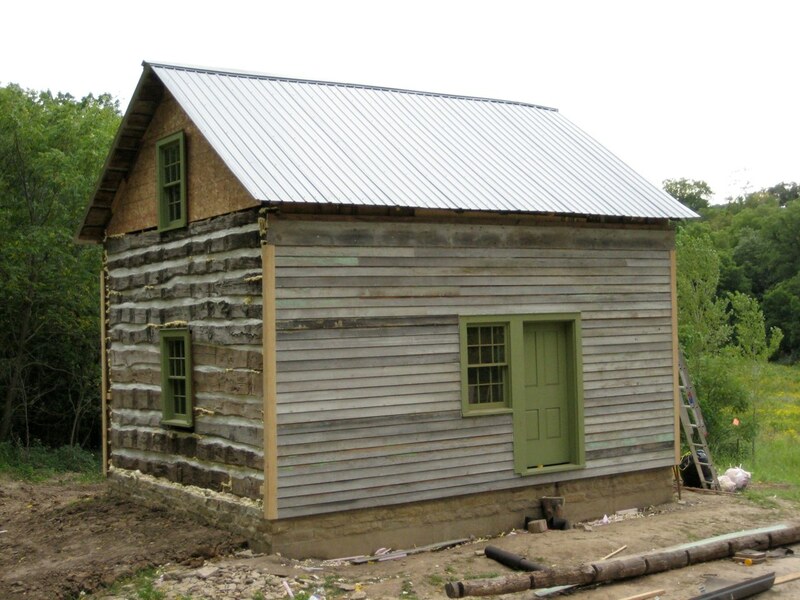 The house and its historic components were catalogued, disassembled, transported, and reconstructed for a folk school in 2009. 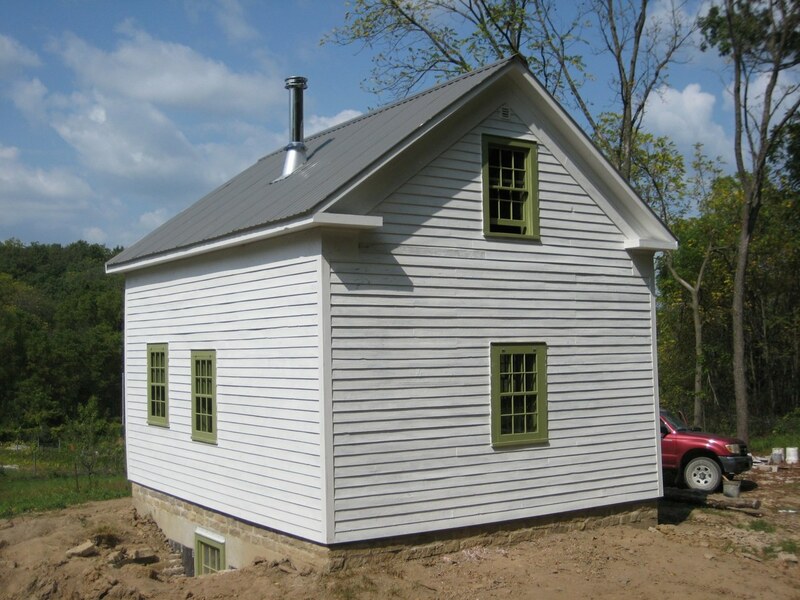 The house was built in strong Norwegian-American tradition: the front door on the long end with abutting side window, hewn logs with extremely tight-fitting, full dovetail corner notching, and a plan consisting of two rooms. Originally constructed with logs exposed on the exterior, the house was sided and ornamented in then-fashionable Greek revival-inspired embellishment in the mid 1860s or early 1870s. 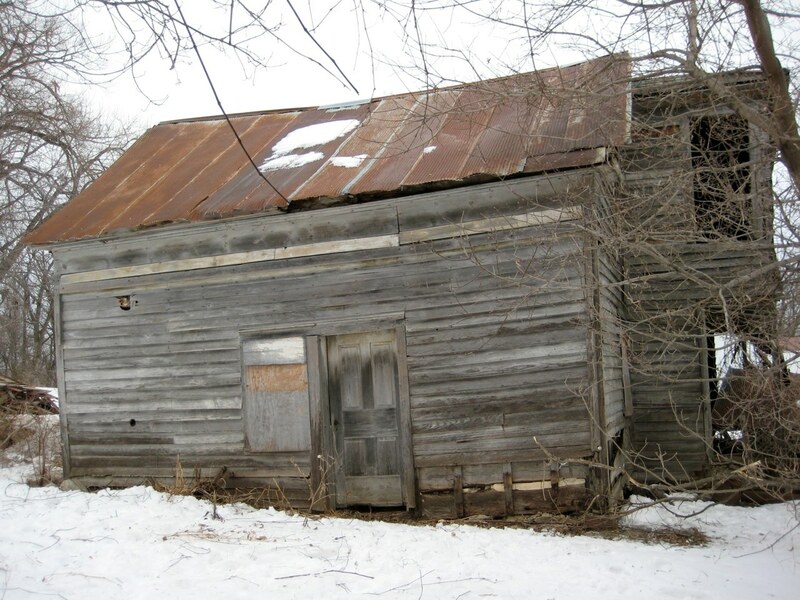 After falling empty in 1916 when its owners upgraded to a modern four-square, the house was later used as a granary and chicken coop before falling into disrepair. 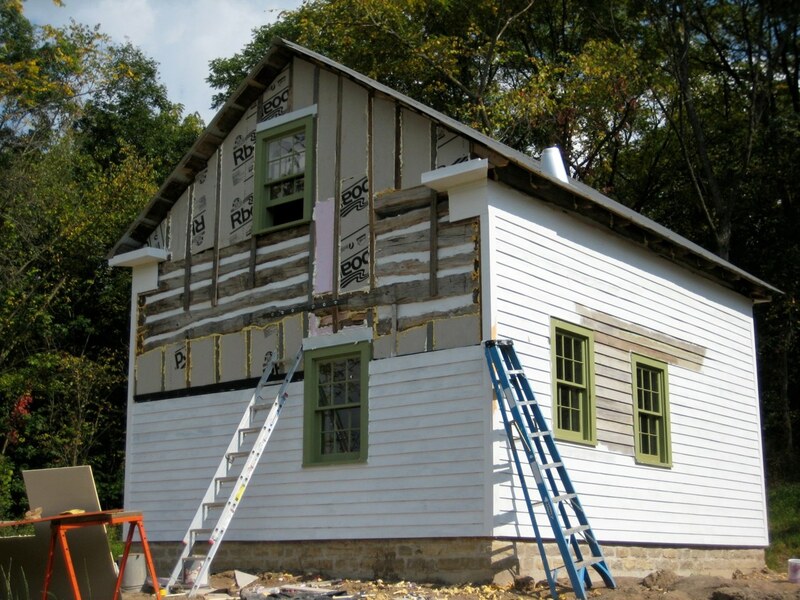 All historic components- gable returns, frieze boards, soffit pieces, roof rafters, roof boards, wide plank flooring and siding pieces- were accurately catalogued and stored for reconstruction. 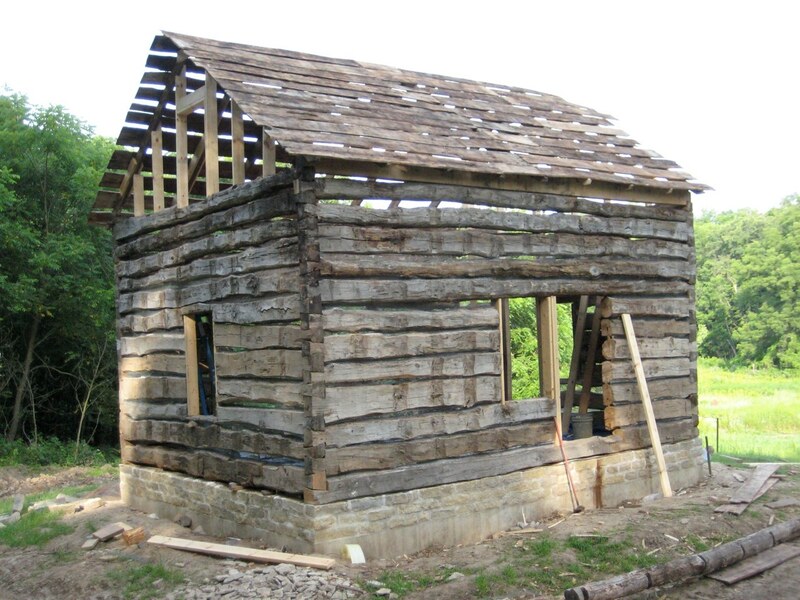 What was not able to be reused outright- like the rotten gable returns- were used as templates and recreated to accurately approximate the originals. The house will be used as educational classroom space for the non-profit folk school. 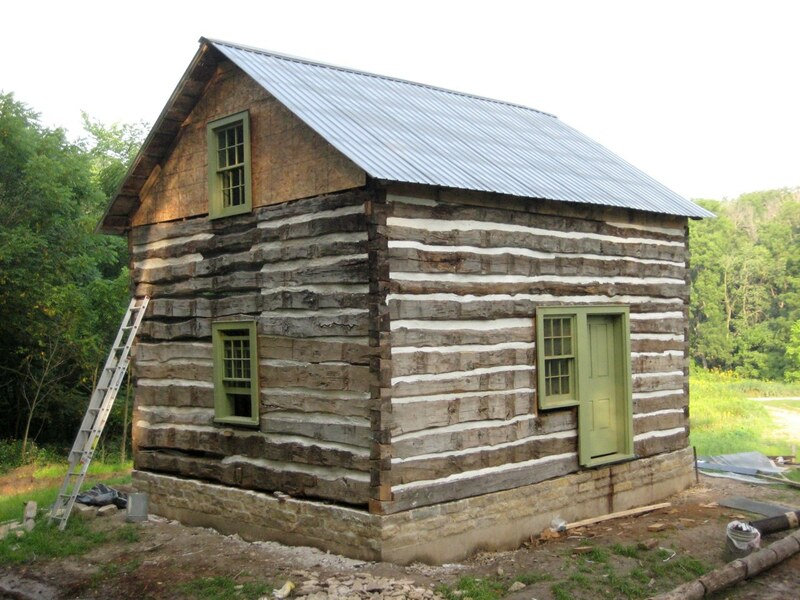 Thorgrim Busness house as it appeared summer 2008...the log prairie version of the Greek revival! The house was remarkably original without remodeling, plumbing, electricity or updates of any kind. Front door with side window are dead giveaway Norwegian-American building tradition. 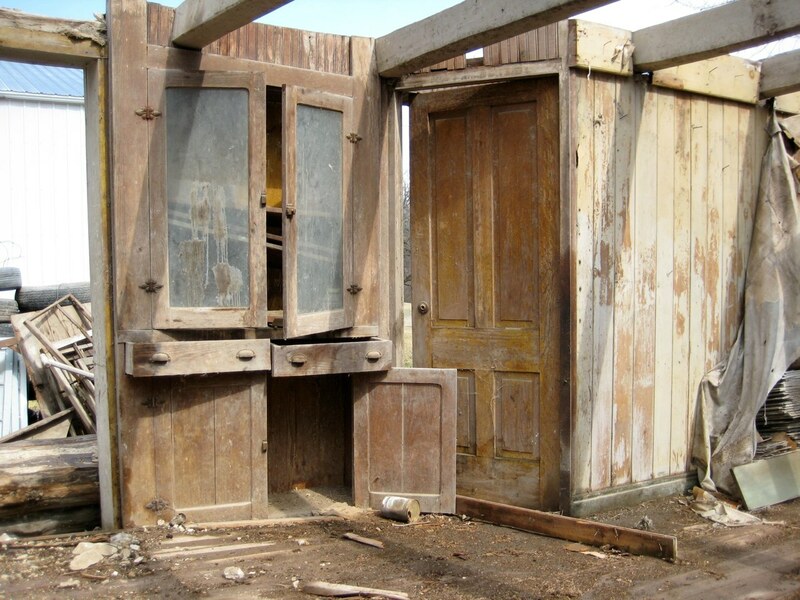 The hand-made four paneled door is original to 1851. For reconstruction, we contracted with a local sash maker to replicate the door exactly, down to the location of the oak pegs that hold the panels together. 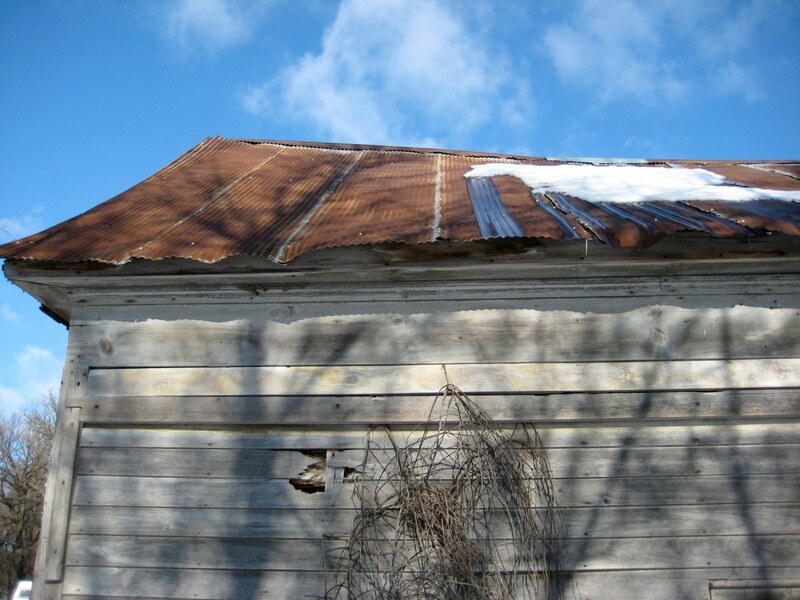 Gable with clapboard removed. Below it are the original 1851 slabbed oak clapboard gables. 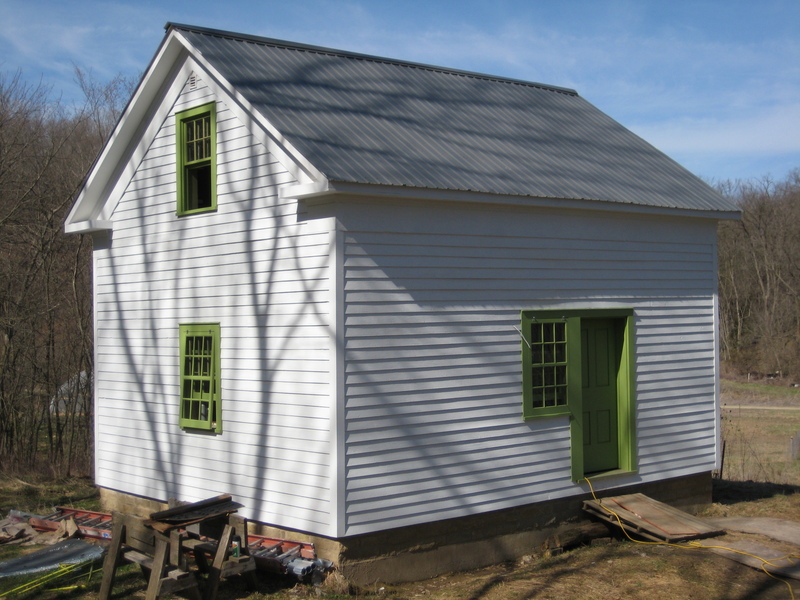 Siding removed, showing how house looked originally. The six light sashes were found inside and used as templates during reconstruction. Interior cupboard with draw knifed white pine ceiling beams above. Cupboard dates to about 1905. I laid three courses of Platville limestone directly atop the extra wide 10" poured walls. 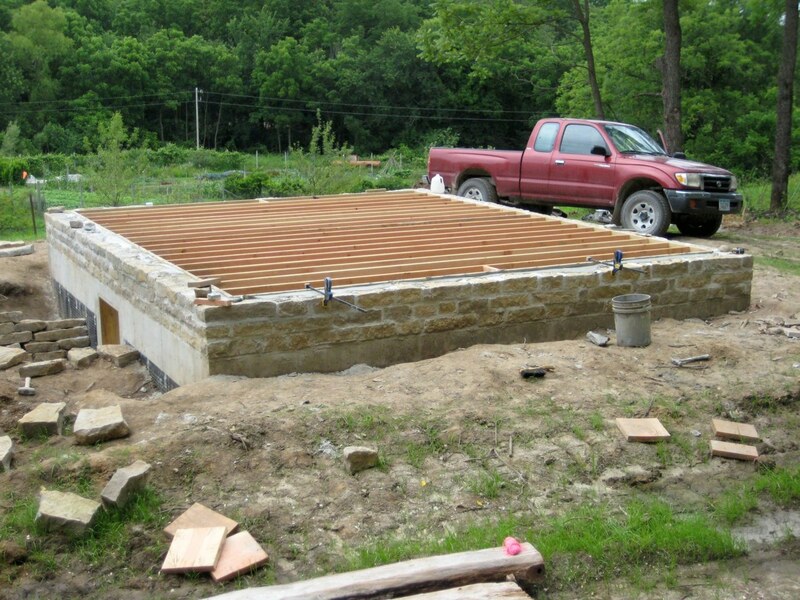 The floor system is carried by stud walls that extend to the basement floors. The floor system is damn strong! 2"x12" douglas fir joists 12" on center over a 15' span. Floor boards between first and second floors: hand planed eastern white pine boards 1 1/4" thick, most measuring greater than 15" wide. The largest was 21" wide by 12' long. 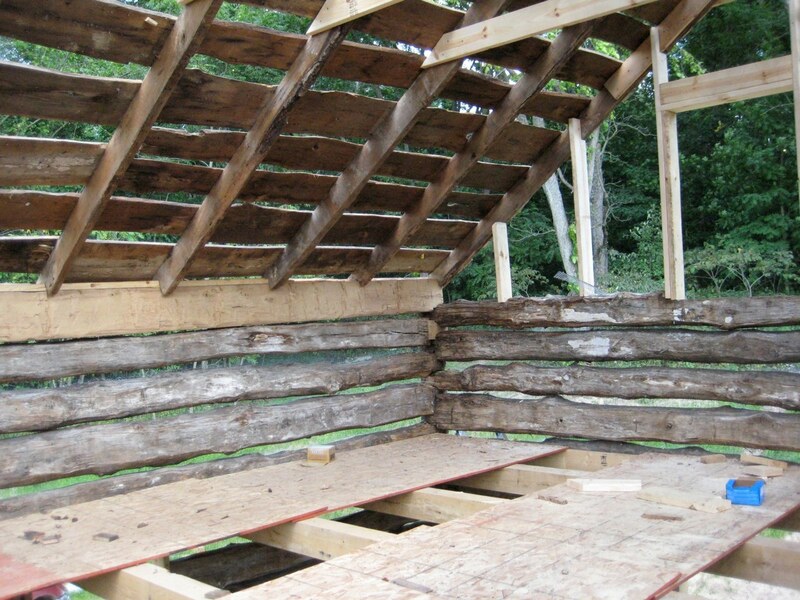 original oak rafters and oak roof boards reinstalled exactly as they were! 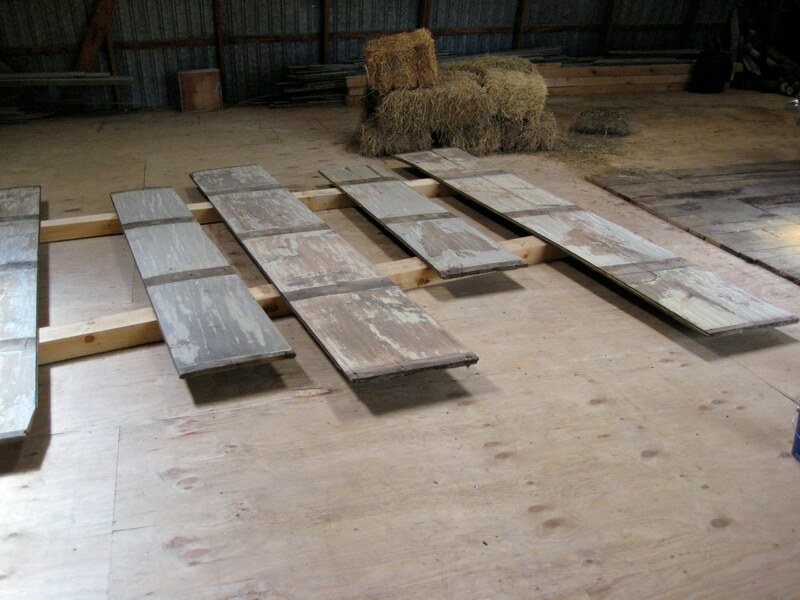 New bur oak plate log and new bur oak floor beams. Notice the front door with side window...exactly as the original. 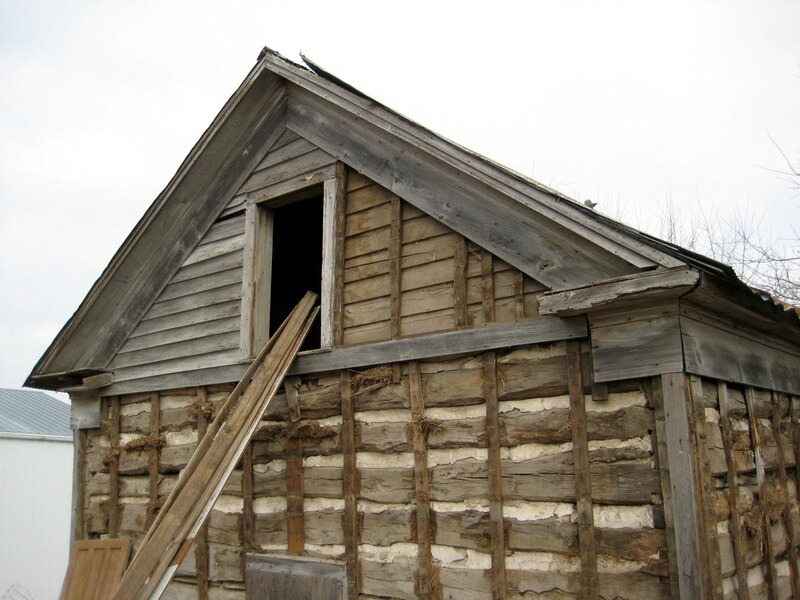 I hang the windows and doors about 3" off the log walls to allow for furring strips and siding. clapboard was salvaged from many houses. I was able to side about 2/3 of this gable elevation with all the siding that came off this particular building. finished exterior that looks damn close to how it did originally, except it's a bit straighter! This entry was posted in Uncategorized on February 17, 2012 by Paul Cutting. My impression is that it would have cost less to build new. I found your page looking for info. on residing an old log home, I am wondering how difficult it is (expensive) to cover out of square, out of plumb log walls. This is amazing! I’ve been reading post after post, and now I believe that buildings are more like legos than permanent structures… They can be built up and torn down and built up again. I can’t wait to read more!